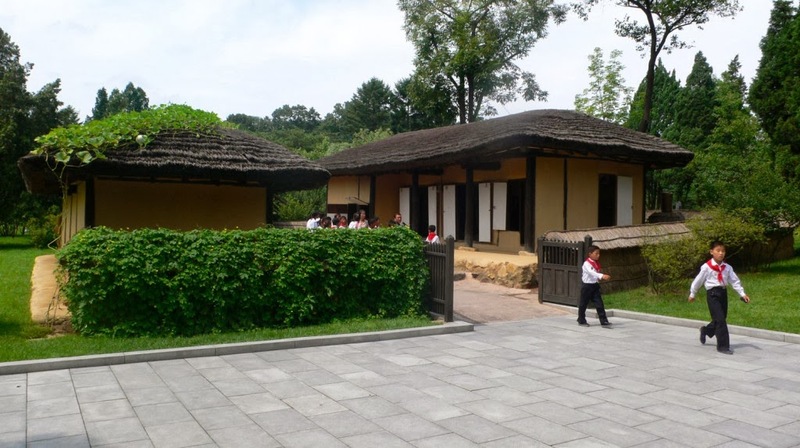 Where was born Kim Il-Sung? Mangyongdae is the birthplaceof Kim Il-Sung. This is what it looks like. 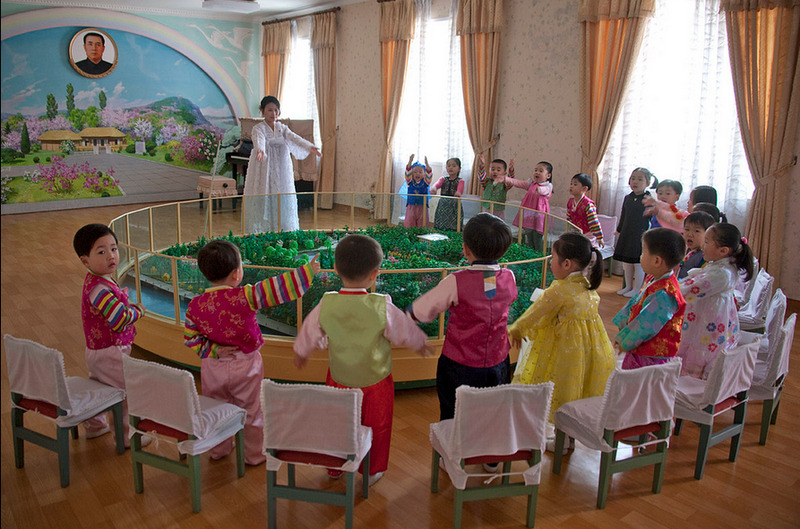 But this is what it looks like to North Korean School children. He stopped before a particular flower, its stem stretching straight, its leaves spreading fair, giving a cool appearance, and its pink blossoms showing off their elegance and preciousness; he said the plant looked lovely, speaking highly of the success in raising it. Sukarno said that the plant had not yet been named, and that he would name it after Kim Il Sung. Kim Il Sung declined his offer, but Sukarno insisted earnestly that respected Kim Il Sung was entitled to such a great honour, for he had already performed great exploits for the benefit of mankind. Kimilsungia festivals may be, by visitor attendance, the most visited flower shows in the world. 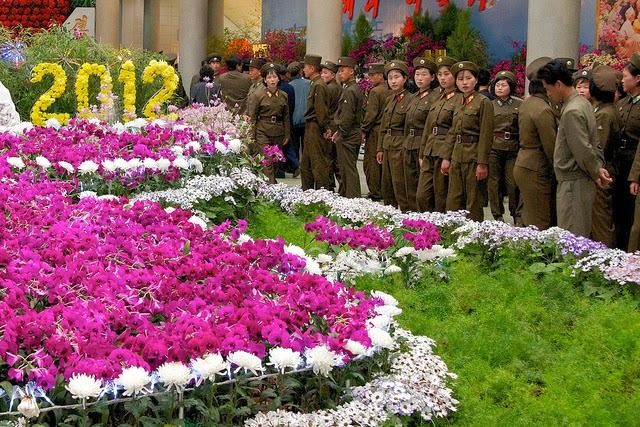 Kimilsungia was joined by Kimjungilia, a bodacious red begonia created in 1988 by a Japanese botanist (neither plant can be said to be North Korean in any way) for Kim Jung-Il's 46th birthday. 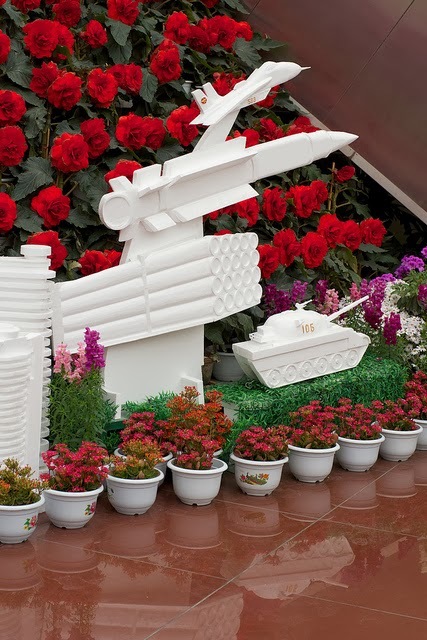 Floral displays mingle these impresa of the two leaders with...tanks and test missiles. 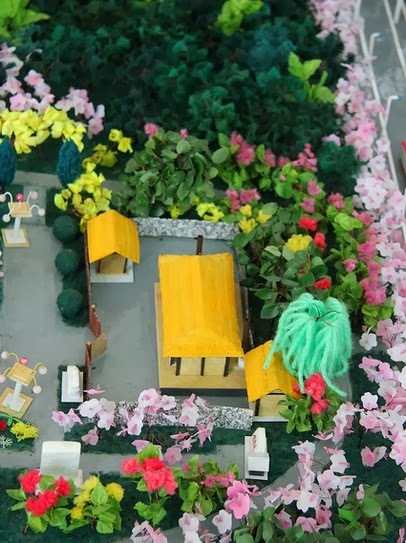 But I'm most fascinated by the miniature landscapes placed in North Korean schools along with those pastel-ized prints of the birthplace. They personify the leader as much as his portrait, placing him in pure and abundant and beautiful nature as a stage set for narrative and myth. 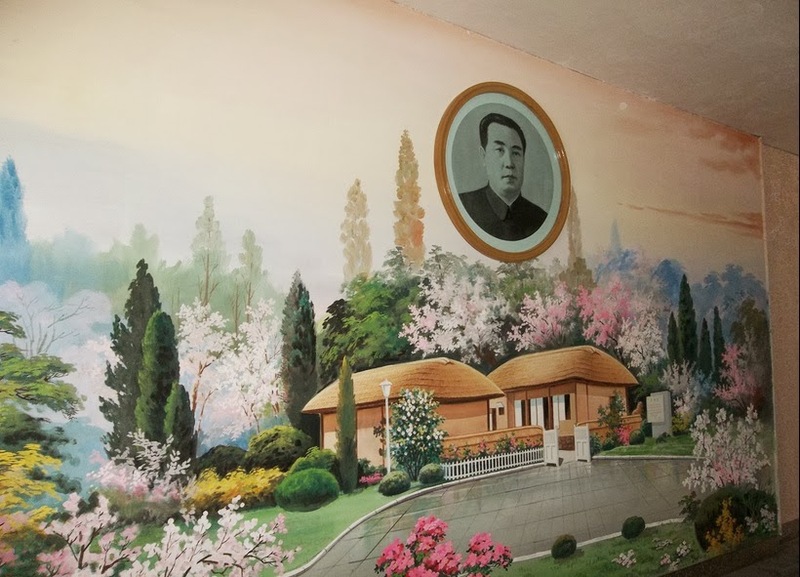 "In a school in Pyongyang, the room dedicated to Kim Il Sung, the father of Kim Jong Il. The teacher asked the kids "where was born Kim Il Sung?" They all answer, loudly: "Kim Il Sung was born in Mangyongdae!" The 'best' schools (the ones in which they allow Western tour groups) have three rooms, and three gardens. One for Kim Il-Sung, and one for Kim Jung-Il, and one for Kim Jong-suk (first wife of Il-Sung, mother of Jung-Il). The trinity of North Korea. And these are their gardens of origin, their Gardens of Eden. See the pointer? "And here Kim Jong-Il gave his winter boots to another child. 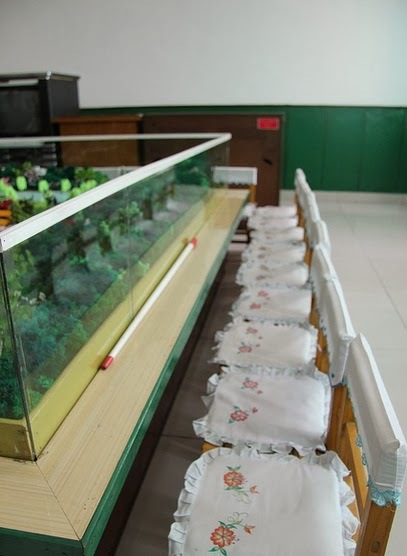 And here Kim Jong-Suk washed Kim Il-Sung's socks and dried them in her bosom." What shall we suggest for the Kimjongunia? Maybe a plant that aggressively and provocatively flicks its seeds far beyond its own space.